Most known for his internationally-acclaimed fiction, with such novels as Freedom and The Corrections, Jonathan Franzen now has a body of non-fiction work that is significant in and of itself, with such books as Farther Away and The Kraus Project. He makes this welcome Seattle return for a new book of essays, The End of the End of the Earth (Farrar, Straus & Giroux). 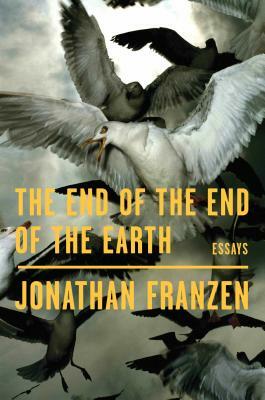 Throughout the essays that follow, Franzen muses about writing, Edith Wharton, climate change, Antarctica, the photographs of Sarah Stolfa, and birds, always birds...Whether observing the eerie beauty of Antarctica (“far from having melted,” he reports) or dispensing “Ten Rules for the Novelist,” Franzen makes for an entertaining, sometimes prickly, but always quotable companion.” - Kirkus Reviews. Co-presented with THE SEATTLE PUBLIC LIBRARY. Free admission. More information here.